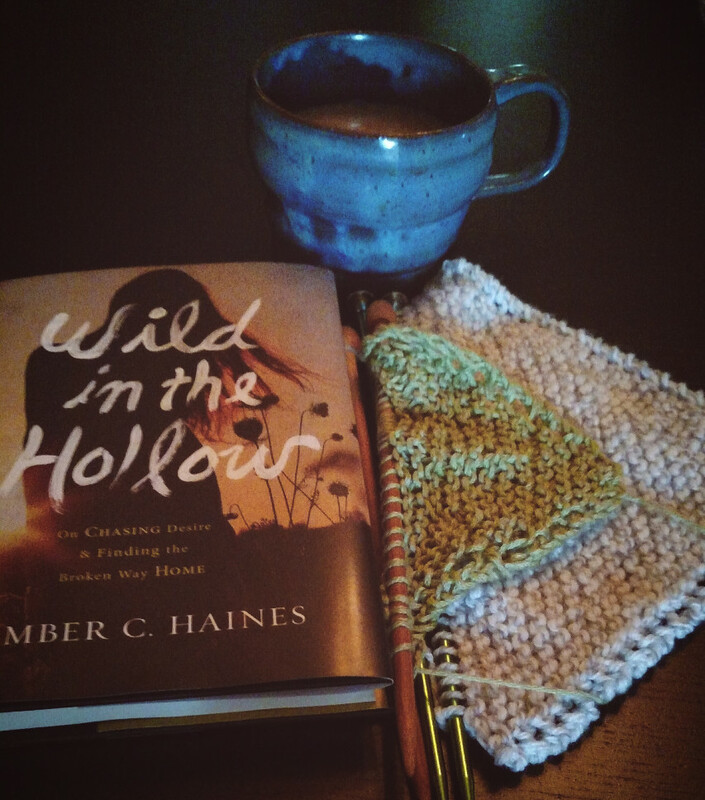 I won Wild in the Hollows in a giveaway recently, but have not started it yet. I was really excited to win it! I actually have never read her blog, but kept seeing the book popping up around Internet-land and thought it sounded good. Decreasing is so much easier if I do it in one sitting. I always muddle it up. I’m not sure the dishes mind either way. In fact it might be an advantage. such a pretty photo 🙂 Love the knitting and the book cover looks good so the book should be good, right?